The White House confirmed Monday that President Barack Obama did exchange emails with Hillary Clinton and her private email account when she was secretary of state, but said he didn’t realize the account was a personal one. White House Press Secretary Josh Earnest told reporters Monday that the president had emailed Clinton, but was unaware of how the personal email address was set up. “The president, as I think many people expected, did over the course of his first several years in office trade emails with his secretary of state," Earnest said, adding that the number of emails was not large, according to the Hill. Earnest said that while Obama knew Clinton's email address, he was not aware of the details regarding its use or compliance with federal regulations. "The point that the president was making is not that he didn't know Secretary Clinton's email address. He did. But he was not aware of the details of how that email address and that server had been set up, or how Secretary Clinton and her team were planning to comply with the Federal Records Act," he said. Earnest’s comments arrive just one week after The New York Times first revealed Clinton’s use of a private domain, “clintonnemail.com,” to create an email address hosted on a home server while serving as the nation’s top diplomat. The server that handled the account was traced to an internet service registered to Clinton's home in Chappaqua, New York. The State Department did not initially retain records of the personal emails, but about two months ago Clinton’s team selected and turned over 55,000 pages of emails in response to an agency request. The State Department is looking at the emails, but said it will take “several months” to review them all and clear them for release to the public. Rep. Trey Gowdy (R-S.C.), the chairman of the House committee investigating the 2012 attack on the US embassy in Benghazi, Libya, said this weekend that there are gaps in the emails that Clinton submitted. 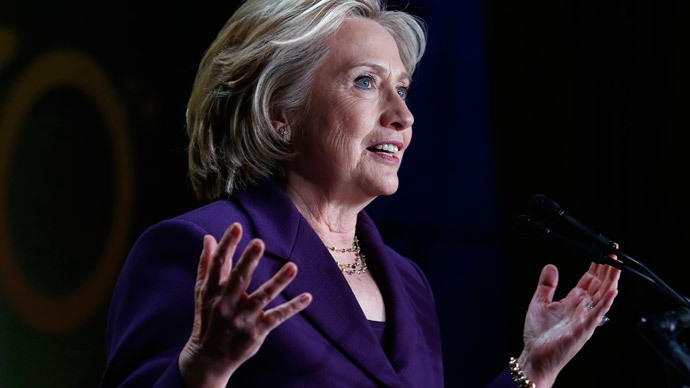 Clinton has not answered questions about her personal email address. In a tweet last week, she said she asked the State Department to release her emails from her tenure there. On Monday, Politico cited anonymous sources in a report stating that Clinton plans to address her use of private email this week in what is likely to be a press conference in New York. If it goes ahead, it will be the first press conference Clinton has held since leaving the State Department.